"Guide on How to Prepare for an ERP System Implementation"
Preparing for an ERP system implementation is an important step taken to prepare your company for a successful software implementation project. The key criteria of this white paper is how to implement ERP system successfully through business management system that can change out the existing system without causing disruptions to your business. Business management system includes all the methods, tools and processes used by the company and employees to get information relating to business, which serves well in managing a company. Changing your ERP system is defining your business goals, objectives and requirements. Business management software implementation is critical to the success of your business. The success of the software selection process and, more importantly, your business depends upon it. Preplanning may be the most important step in your software selection. What are the business objectives and processes and how to identify them? Business objectives and processes are essential in building a foundation for the success of a new Business Management System. Recognizing the needs of your customers will help you identify your business objectives, which drives your business value. How to Prepare for an ERP System? What is ERP? What are the steps involved in ERP system implementation? 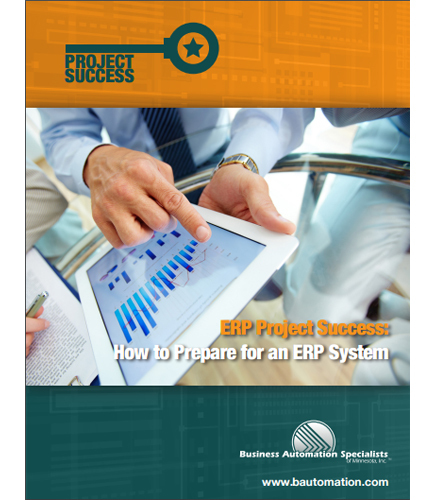 What are the consequences and benefits of ERP project success?